Treating infertility in women involves using drugs to control ovulation. Women who are found to be infertile because they produce eggs only infrequently and given drugs to stimulate ovulation, so that a natural pregnancy is more likely. Drugs that induce ovulation are also given to women preparing for a round of In Vitro Fertilisation (IVF) treatment. The more eggs that are produced, the more embryos are likely to result and the excess can be frozen in case of failure of the initial round of treatment. Women who are giving their own eggs for IVF, and women who are acting as egg donors are informed of the immediate risks of such drug treatment. Because IVF is a fairly new treatment – the first baby to be born by IVF had her 30th birthday in July 2008 – the long term effects are hard to predict and studies are only now able to examine the impact of drugs used to stimulate ovulation taken by women in those early days. A study just published followed up 15 000 women from Israel 567 of whom had received drugs to force their ovaries to produce 25 to 30 eggs at a time. The results are quite worrying because they suggest that such women, overall, have a greater risk of uterine cancer than women of the same age and background who did not take fertility drugs. The risk might be as much as three times as high. Taking clomiphene could increase the risk to four-fold. There is need for concern because almost 35 000 women every year go through fertility treatment. To address this concern, the researchers from Hadassah-Hebrew University in Jerusalem have suggested that women who have received ovulation-inducing drugs in the past should be carefully monitored in case they do develop cancer of the womb. They stress that although the risk is increased three-fold, the incidence of uterine cancer is quite low, so this increased risk does not translate into that many expected cases. The numbers of women in the study are quite low – only 5 women in the group identified as having taken fertility drugs developed uterine cancer, so it is difficult to use these results to extrapolate to higher numbers of women. Far more long-term studies such as this are needed to work out exactly what the link is between fertility drugs and uterine cancer risk. One researcher from London, Dr Richard Kennedy has looked at the results and points out that this study has found different results to most that have been done. Many studies have found no link between taking fertility drugs and an increased cancer risk. A spokesperson from Cancer Research UK was also reassuring, pointing out that the nature of the study prevented any definite conclusions. 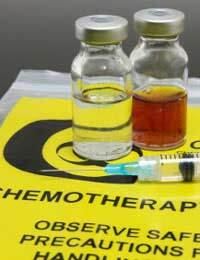 Helen from the Wirral told FertilityExpert that the possibility that fertility drugs could have yet unknown long-term effects and might increased cancer risk was explained to her before she took clomid (a type of clomiphene) for two six month periods to enable her to conceive her two children. “I suffer from PCOS and had 4 miscarriages before I started fertility treatment. Personally, I would rather use the drug and have two healthy children and deal with any increase in cancer risk later in life. After all, smokers know that smoking increases the risk of lung cancer for certain, and most of them don’t stop smoking. You have to keep a sense of perspective,” she says.